Tourists flock to Prague to buy garnets, but beware of fakes! Czech garnets — also known as Bohemian garnets or Prague garnets — are deep red Pyrope gemstones. The finest garnets have been mined in the Czech Republic for several centuries. While most people think of a blood-red stone, garnets come in different colors and types: black and transparent garnets are also common, and there's a rare green variety of garnet as well. Czech garnet jewelry is traditionally characterized by many small garnets packed together so that the garnets cover the piece. In more modern jewelry pieces, solitary stones are often displayed in simple settings that highlight the color and cut of the garnet. The history of Prague and the marketing of its garnets dates back to the beginning of the 17th century, according to the Bohemian Garnet Museum. Emperor Rudolf II ordered the establishment of an Imperial Mill in Prague so that crude, raw garnets could be cut and drilled. As early as 1598, the emperor gave permission for gem cutters to export Bohemian garnets. The practice of Bohemian garnet mining drew prospectors from around the world, with many of them coming from Venice and other parts of Italy to obtain the unique gemstone. During the reign of Empress Maria Theresa, the right to cut and drill Bohemian garnets was confined exclusively to Bohemia, a practice which lasted until the late 19th century. 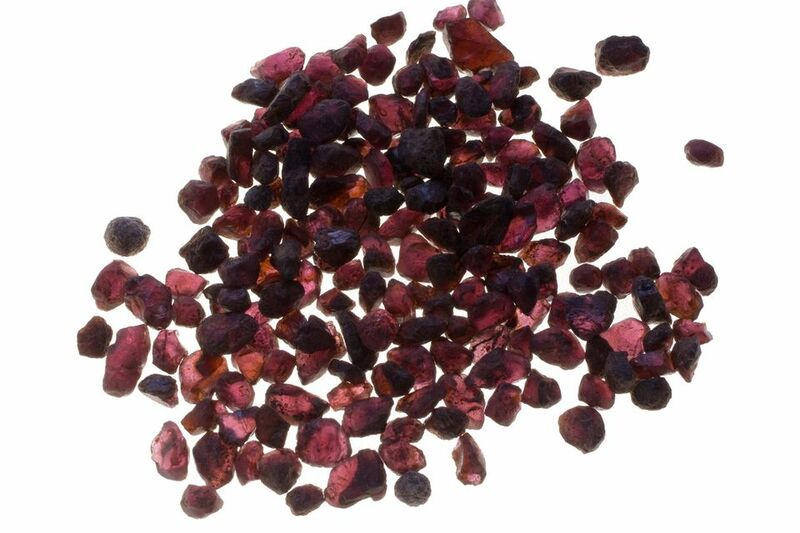 In modern-day Prague and the Czech Republic, garnet prices vary according to their quality, quantity, and size. The metal in which the stones are set and the design and number of stones will also affect how expensive a piece of garnet jewelry is. As with any purchase, especially while traveling as a tourist, make sure you are buying garnets from a reputable dealer. Many foreigners (and more than a few locals) have been fooled into buying fake Czech garnets. It's an easy mistake to make and a well-known problem in Prague's main shopping districts. Even popular travel guides like the American Automobile Association caution tourists about the abundance of fake garnets in Prague jewelry shops. Streets in Prague's tourist areas are lined with Czech garnet shops. It's definitely smart to shop around to try to find a good deal, especially if you're looking for a unique piece or have a set budget. Take your time and visit more than one jeweler. Typically, shoppers will get better prices at garnet shops farther away from the central marketplace, but be sure you know where you're going and who you'll be dealing with. As with any transaction conducted in a foreign country, it doesn't hurt to have someone with you who speaks the language when purchasing garnets (or any other high-ticket item, for that matter). One of the better known and most reputable that sell garnets in Prague includes Granat Turnov, the largest producer of Bohemian garnets. Granat Turnov was formed as a cooperative of small goldsmiths in 1953. It has retail outlets in Prague and several other cities across the Czech Republic. Another reputable source, Halada, is a high-end family-owned jeweler with three locations, all in the Prague area.